From Tracie: Stop Online Sexual Abuse of Children!! Stop Online Sexual Abuse of Children!! The innocent victims of Internet child abuse cannot speak for themselves. But you can. With your help, we can eradicate this evil trade. 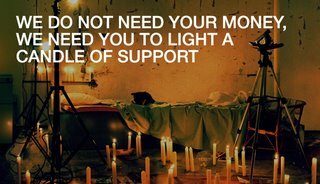 We need you to light a candle of support. This petition will be used to encourage governments, politicians, financial institutions, payment organisations, Internet service providers, technology companies and law enforcement agencies to eradicate the commercial viability of online child abuse.They have the power to work together. You have the power to get them to take action. Please light your candle, it only takes a couple of minutes to sign this petition. Together, we can destroy the commercial viability of Internet child abuse sites that are destroying the lives of innocent children. Posted about this as well. Lit a candle too. 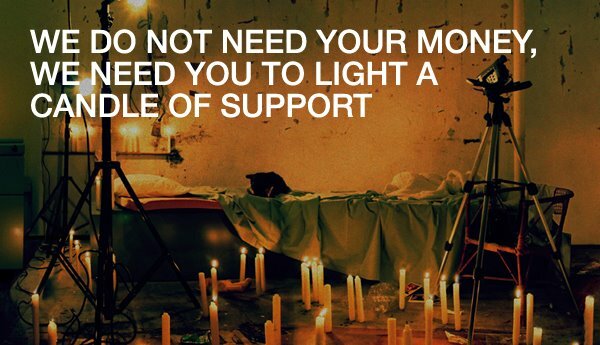 I've got plenty of candles, Tracie, so I'll add one more to the count. A million is attainable! Thanks Tracie, I went and lit a candle. 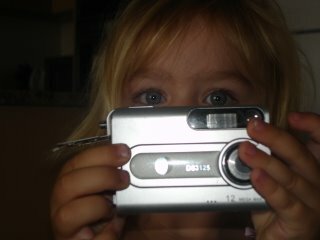 I actually began a new blog because it got to the point where I thought I was posting too many photos of my young daughter's face. Now I post photos differently, mainly with her face hidden. Even though I have met the most wonderful people, whom I consider friends, through blogging, you just cannot be sure who else is lurking through your files. I'm here via Michele today...don't mind me as I look around. Thanks! Thanks for doing this. We really need everyone to protect our children. I lit a candle as well. Thank you for sharing this. Here is the link to my post. Huh. Didn't expect this on my way to read a new blog, but I guess I'm off to light a candle! I'm a first time visitor here and I am off to go light my candle! Lit my candle just now. It's amazing how one little candle casting a tiny amount of light can totally slice through the darkness. A little bit of light really does bring hope. My candle will be lit, and my children will hear yet another story from their storytelling old dad. just headed over to light one myself. Thanks for showing the way. YES! We need to shine our light on this darkness. I lit my candle. 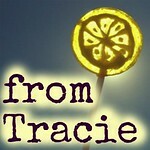 Thanks for alerting us to this, Tracie. 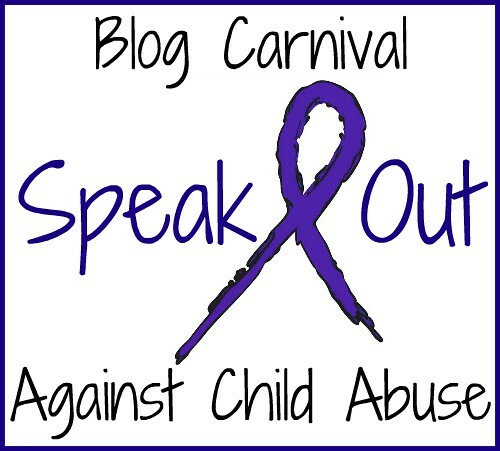 And, thanks for letting me include this post in our Blog Carnival Against Child Abuse. I'm so glad you've joined us! Thank you. I lit a candle knowing that only light shining into the darkness can stop the abuse. 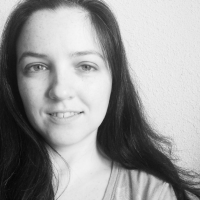 I will be adding a link to your blog from mine. I lit a candle... My question that I have well I guess I should first give some back ground, My son was sexually molested by his biological father at age 2-3 when i found out visits stopped and he now no longer sees him. my son has many emotional problems from what happened to him as well as having autism, ADHD, OCD and ODD. I started seeing a pattern though- every year throughout October he has major behavioral problems. So I was wondering could that mean that this is when the abuse happened? Any suggestion would be appreciated.